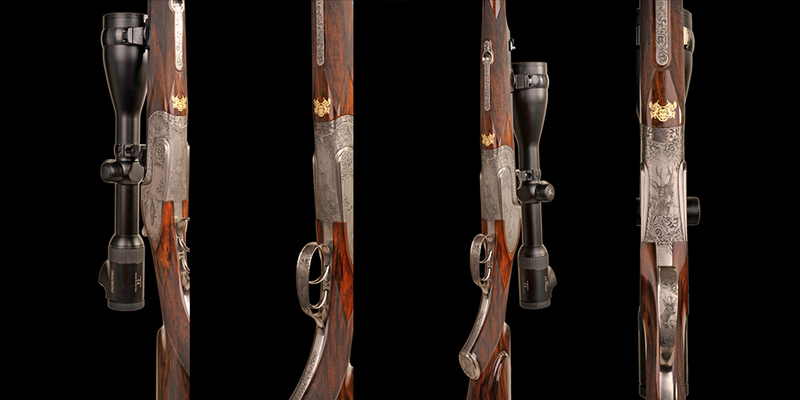 An absolute unique best quality single shot ejector take down rifle built on a patented Perugini & Visini design enhancing the accuracy and safety of the traditional mountain rifle. 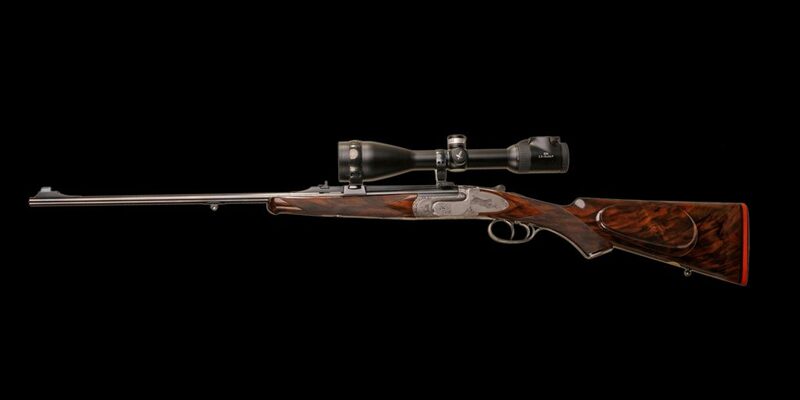 The Eagle is available in all classic hunting calibres. Stocking is of select walnut featuring traditional checkering, gold oval, makers crest and ebony forend tip. 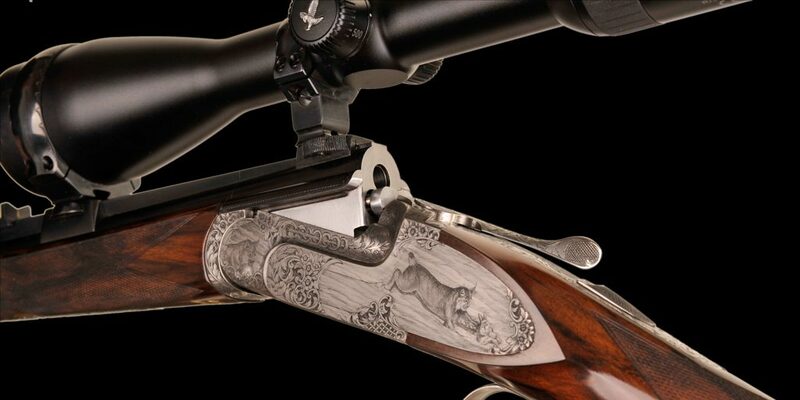 Options include a set trigger and the makers dovetail claw mounts with optics of choice. Also available are accessory smoothbore barrels, a sideplated version and engraving as per client request. The Eagle is supplied with a custom fitted case.